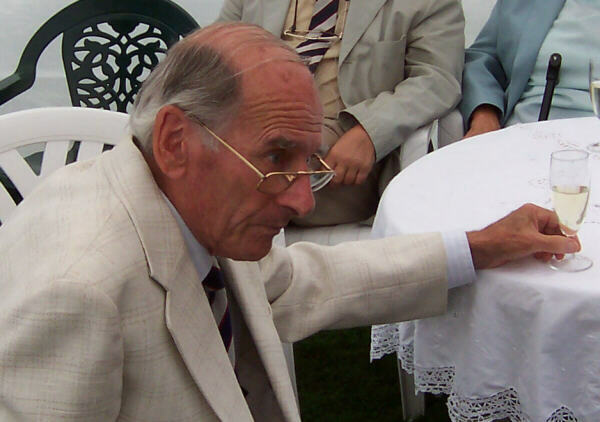 Peter Eric larby was born in 1927. With his twin sister, Freda, he spent his early years in the family cottage, near the Frensham Ponds Hotel. Later the family moved to Churt and he attended the village school. He successfully passed the entrance examination to the Farnham Grammar School. At Farnham Grammar School, besides his academic studies, Peter was a fine all round sportsman. On the games field he excelled in soccer, cricket and athletics. In fact he held the 110 yards hurdle record for many years and ran for the Surrey Grammar Schools.